When it comes to bodybuilding we hear more myths than facts. Let us see the ultimate rules every bodybuilder must follow. It is one of those topics where everyone has an opinion, irrespective of the fact whether he has ever been to a gym or not. People generally take up bodybuilding because they want a great physique. It is foolishness to listen to every single person on bodybuilding. Instead you must follow these most effective Indian training rules to develop a muscular body. Building your body is a gradual task which involves patience and continuous exercising. Some gym trainers may give you high hopes, saying you will develop a well toned body in a matter of months. But that is not true. Building your muscles is a gradual process that takes time. Start small. Do not rush even if your trainer forces you to. Increasing your repetitions gradually will help you gain muscle mass in a better manner. People often get confused between over-exercising and getting quick results. But this isn’t true at all. If you think you’ll be able to grow more muscles with exercising more then you are doing it wrong already. Over exercising only causes muscle loss and not the other way round. Doing excessive workout only results in muscle atrophy. 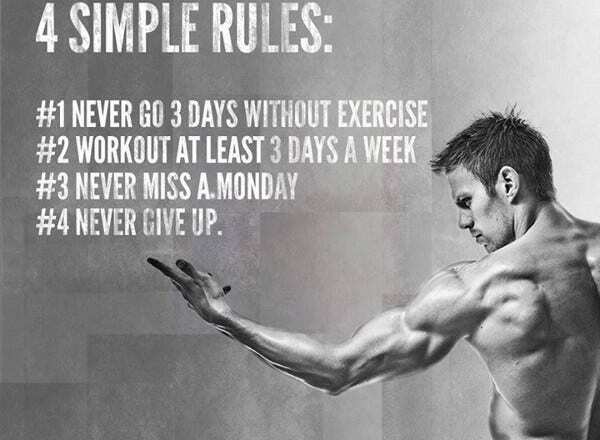 In order to build a well defined muscular body you need to maintain a certain schedule which you must strictly follow. The frequency must not break and there must also not be any irregularities. Carve out a schedule that you can follow without exerting yourself. Testing your limits is a good option but overdoing it, isn’t. For instance, working out for a couple of hours a day is adequate but doing it twice a day isn’t. Similarly, doing three sets of fifteen repetitions each of a particular exercise, say bench press is an ideal technique but doing more sets or more repetitions only leads to muscle loss. So don’t overdo because it will ultimately harm your body. When you are working out your body needs adequate amount of nutrients to assist in muscle growth. Your diet depends upon your workout. For example, if you are doing an advanced level of workout then you need to consume whey protein which contains the maximum number of essential amino acids. Nutrients, especially proteins repair and heal our muscles. An Indian diet that is full of nutrients makes bodybuilding productive. It increases the intensity of workouts thereby giving your body more time to recover. With adequate diet your body gets time to recover and heal within subsequent workouts, which is highly essential. Follow the above mentioned rules of Indian workout and you will develop a well-toned body in no time. Previous articleNo Time to Hit the Gym?